If you are already an iMediaTouch client, benefiting from an upgrade to the latest version is a snap. win-OMT wil be there to assist you throughout, ensuring a fast and successful upgrade so you can immediately take advantage of the new features and functionality that a version upgrade will provide. win-OMT is equally committed to ensure any migration from another automation system to iMediaTouch is a breeze, providng you with a project plan and hands-on support. win-OMT can save you time and money by converting and ingesting your already existing audio assets into your new iMediaTouch system. The iMediaTouch approach and commitment makes transition transition to iMediaTouch fast and pain free. iMediaTouch brings your locations together. 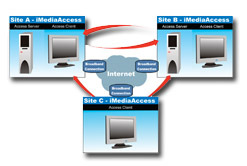 If your stations are on multiple floors or in multiple buildings, iMediaTouch can help your facilities act as one. iMediaTouch can empower you to take advantage of all of your assets and all of your talents. 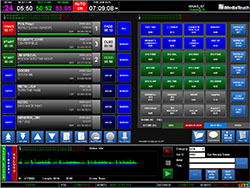 iMediaTouch has one of the easiest user interfaces in the industry. Whether you are upgrading your existing win-OMT iMediaTouch software, or a first time client, your team can be trained to use and fully benefit from the many advanced features available. In fact win-OMT provided full training on all of the software you purchase, either remotely or at your location, using the actual software that has been installed. The various iMediaTouch Modules use industry standards for operation that is common to most Windows applications, further accelerating the timeline to become fully comfortable. The win-OMT client commitment ensures that the implementation and training on your upgraded or new version of win-OMT iMediaTouch is quick, helpful and allows your investment to bring immediate benefits to your operations. Quality audio delivered on a solid win-OMT iMediaTouch platform. Current win-OMT iMediaTouch clients who are upgrading to our latest version can easily and quickly ingest their current audio library. The win-OMT technical team will assist you with this process. If you are a new win-OMT iMediaTouch client, we are able to assist you with any required audio library conversion and ingestion. win-OMT fully understand that the quality of your audio reflects on your brand – and we will be with you during the implementation to ensure that the outcome is what you expect. 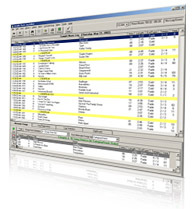 iMediaTouch is often a preconfigured option setting on some of the industries most popular Traffic and Music Scheduling software packages. If however you find that iMediaTouch is not on your vendors list of supported systems, we will work with that provider to add support. iMediaTouch utilizes standard ASCII file outputs to do its log merge, so most music and traffic systems can be easily configured without having to get a new release or revision from your vendor.